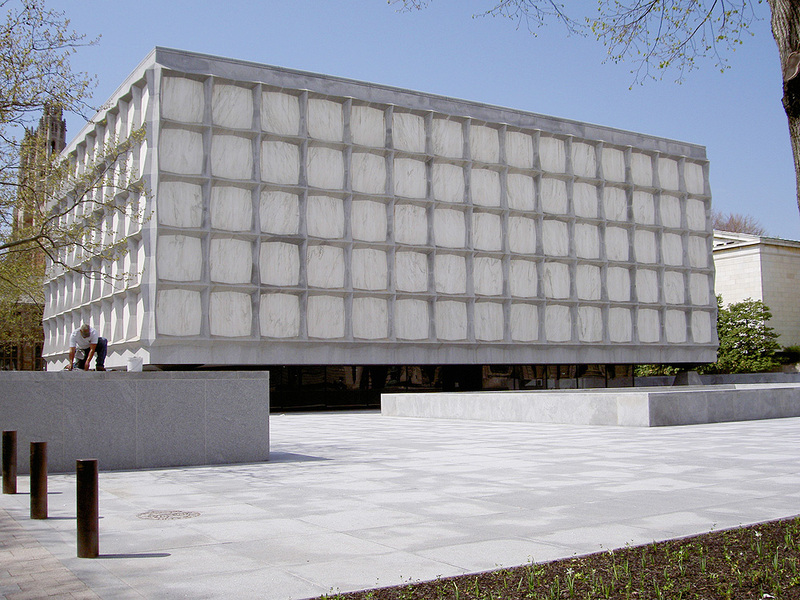 It’s been over a year now since Yale University’s totally great Beinecke Rare Book & Manuscript Library was open to students, scholars, and tourists—which is a bummer, because, I mean, just look at this amazing place. The Library was closed for good reason, though! 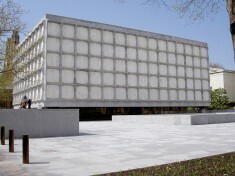 After over fifty years of loyal operation, the Beinecke simply needed an update. And so in May of last year, it closed its doors: a temporary reading room was set up across the way at the Sterling Library, and the heavy lifting—not to mention spending (renovation costs totaled around $73 million)—began. The results, Yale representatives note, may not look like much, as the central focus of the renovation was the improvement the library’s ability to preserve and maintain its collections effectively, meaning that much of what was done consisted of behind-the-scenes work on the library’s air conditioning and heating systems. In addition to better temperature and moisture control, the library was also outfitted with a state-of-the-art fire suppression system—and a whole lot of security cameras, the Wall Street Journal’s Brenda Cronin reports. 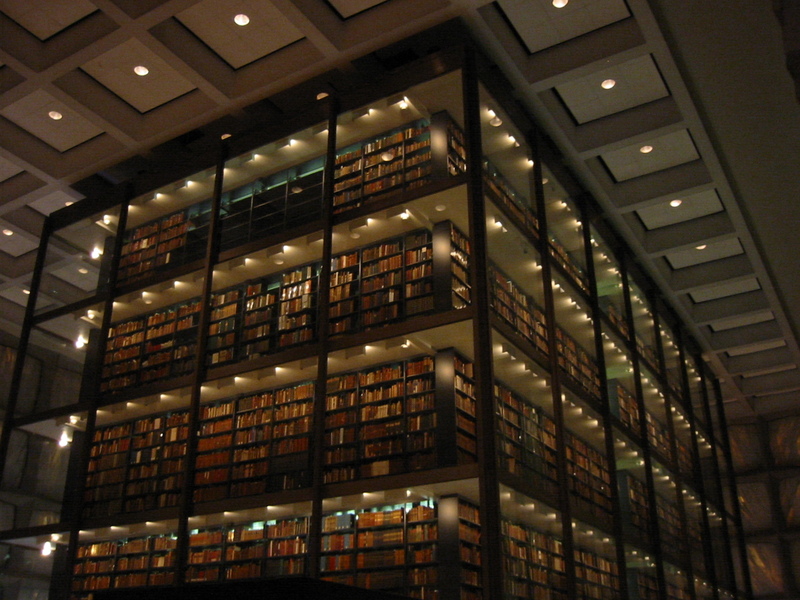 As is common with all rarified temples of literature and ephemera, the Beinecke has been known largely as a space for the white-gloved —namely, graduate students and other scholars. 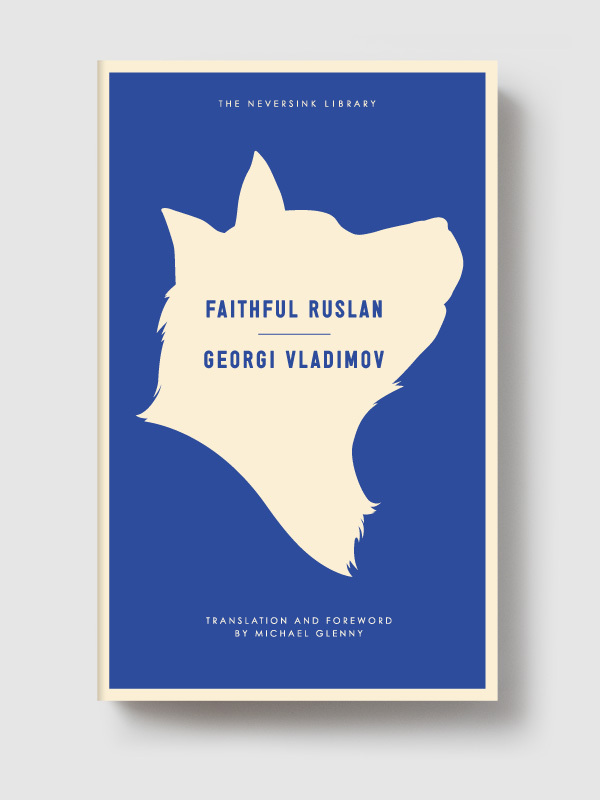 But this impression should begin to change now that the library has re-opened. Another component of the renovation was the installation of lecture rooms large enough to host undergraduate courses and outfitted with technologies that will make it possible to bring the rare books safely into the classroom. 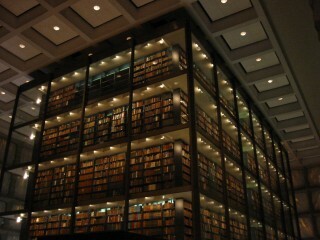 Since its opening in 1963, the Beinecke has been central to student life and scholarship at Yale, providing the esteemed campus a world-class collection of books and artifacts. 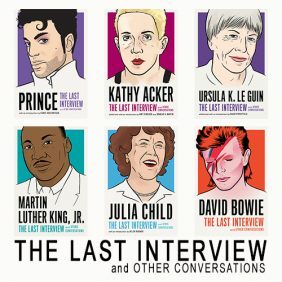 Highlights from the collection include a Gutenberg Bible; a folio of John James Audubon’s Birds of America; Robert Templeton’s courtroom sketches of Black Panther Party members; lots of texts about alchemy in Europe; a collection of illustrated covers from lesbian pulp novels; footage of Gertrude Stein and Alice B. Toklas hanging out; the papers of one Ezra Pound, housed in a truly amazing six-story book tower, which I demand you look at (see below), and which Yale invites you to explore.